In celebration of Jack Beats recent EP release Vibrate, he shares and transforms the original G-House doubleheader EP, into a heavy bass bumping “Vibrate Tour Mix.” Highlighting combinations of their North American tour that kicked off in LA, the mix offers 22-minutes of punchy bass and synth experimentation that delve deep into the duo’s complex multi-genre sound of hip-hop, house, and drum ‘n’ bass. 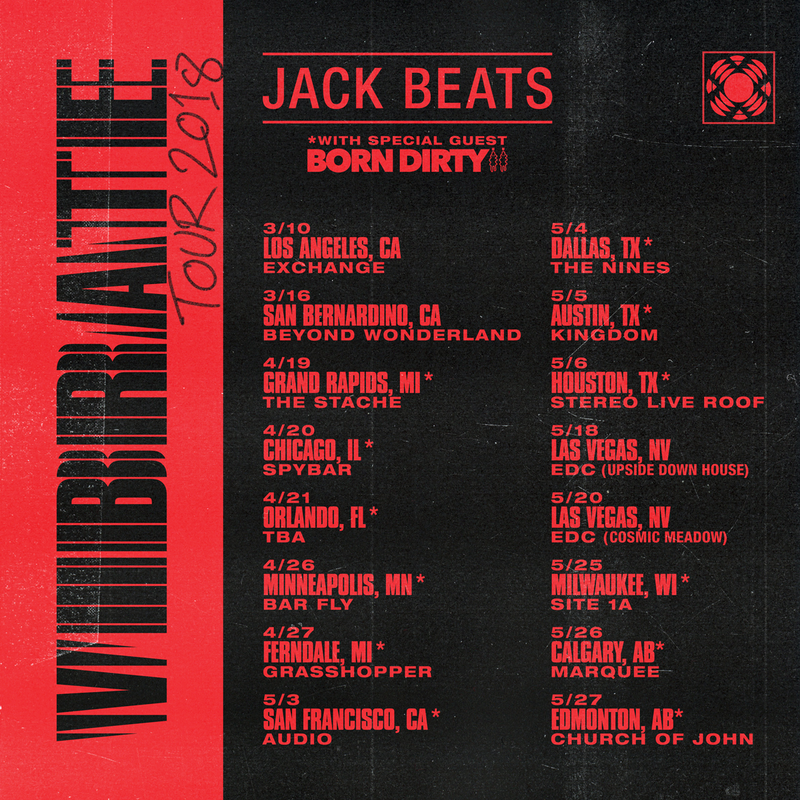 Catch Jack Beats live on a string of North American tour dates hitting Los Angeles, Chicago, Minneapolis, San Francisco, Dallas, Calgary, festivals Beyond Wonderland and Electric Daisy Carnival, and more. Find a complete list of dates in flyer above and more info here. Stream the “Vibrate Tour Mix” below.